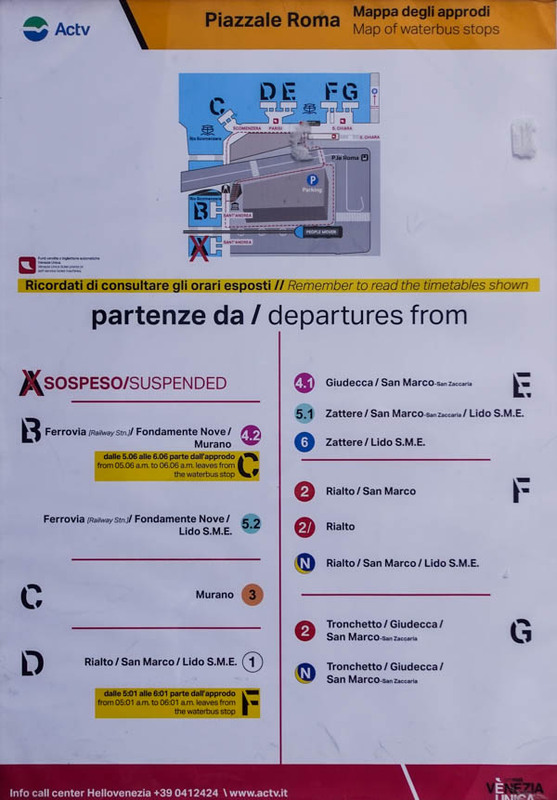 Piazzale Roma is the final stop for motorized traffic arriving in Venice. It's where you'll disembark if you arrive by airport bus or land taxi. From Piazzale Roma, you can walk to nearby hotels or catch public vaporetti and motoscafi water buses to locations throughout Venice's historic center. 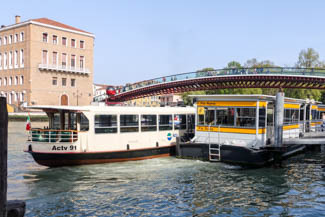 If you didn't buy ACTV waterbus tickets or a Tourist Travel Card at the airport, you can obtain them at the ACTV office in the Piazzale Roma (look for a small brick building) or from ticket booths and ACTV ticket vending machines near the boat platforms along the canal. The Piazzale Roma station is large and spread out, with pontili or pontoons scattered along the waterfront. Consult an ACTV map to find your boat's route number, then check the route numbers on the boat platforms.